I just came back from the Union Design Festival (formerly Capsule) in Hayes Valley. There were lots of goods from independent artists, designers and crafters to be had. I will do a proper post for the festival but I just wanted to share the news that there is a new store opening in San Francisco in a few days. 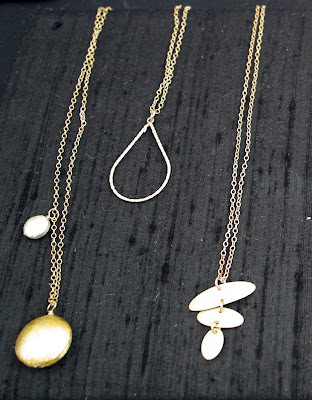 Designers Adrienne Wiley of Frolick Jewelry and Liza Anongchanya of Ofina Jewelry have teamed up to open Covet, a boutique and design studio in the Inner Richmond. This is really great news and is a silver lining to all the not-so-great news we've been hearing lately about beloved independently owned stores and boutiques closing up shop in the city. Today, I snapped up a necklace from Ofina. 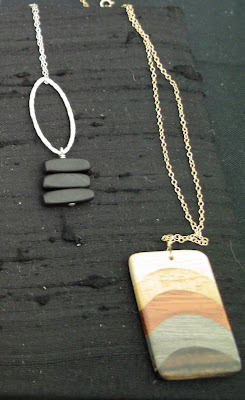 Her pieces are very simple and classic and priced very reasonably. I also own one of her lariats which I bought at last year's indie mart. 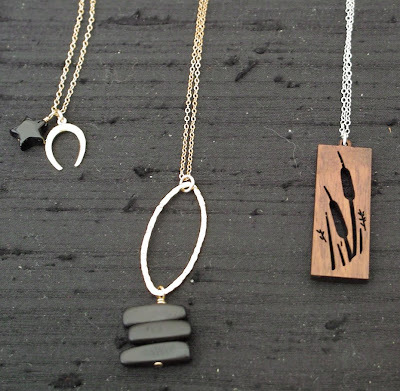 Please support local shops and designers, they play a huge part in making San Francisco the great city that it is. 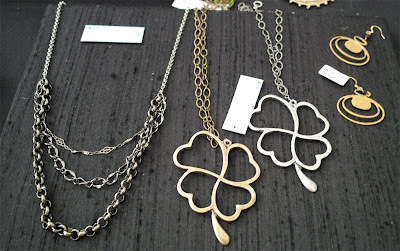 391 Arguello Blvd @ Clement St.
Oooooh I love the clover necklace!! !